1) From Lansdowne station: Take northbound 47/47B/47C bus. Get off at Davenport. Cross to the northeast side (with the telephone booth). Walk east along Davenport. Turn left at first street – St. Clarens. Turn right at alleyway. 6A Greenlaw is orange brick building on your right. 2) From St. Clair West station: Take westbound 512 Keele or 512 Lansdowne streetcar. Get off at Earlscourt stop. Cross the street to the side of the church. Walk west and turn left at Greenlaw Ave. Walk to the end of the street to 6A Greenlaw Ave., the orange brick apartment building. 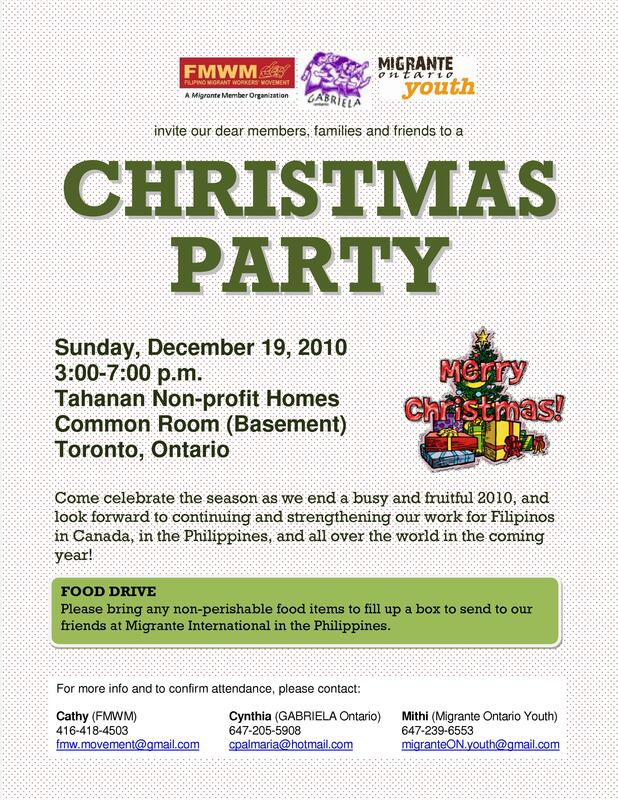 This entry was posted on December 16, 2010 at 7:08 pm	and is filed under Events. You can follow any responses to this entry through the RSS 2.0 feed. Responses are currently closed, but you can trackback from your own site.